On September 15, 2018, I attended Monroe, winner of the Austin Playhouse’s Festival of New Texas Plays, staged at the Austin Playhouse. The playwright, Lisa B. Thompson based the piece on her family’s history prior to their move to California in the 1940s. Situating the narrative in 1946 Monroe, Louisiana, Thompson places the story in broader histories of the Great Migration and southern black people’s experiences in the United States after World War II. Monroe begins with the aftermath of the lynching of a young man that affects his family and friends as they struggle to come to terms with his death. The man’s younger sister, Cherry, confronts her belief that God is telling her to leave the South, while her grandmother, Ma Henry, dismisses the idea. However, Clyde, a friend of Cherry’s brother, takes her dreams seriously and invites her to come along with him to California. Cherry must decide whether she is going to stay in her hometown where she is familiar with the people and cultural traditions or if she is going to risk moving to a location where she does not know what to expect. Overall, Monroe explores how the threat and aftermath of racial violence haunts the lives of African Americans as they imagine different futures. Fully unpacking all the underlying themes of Monroe is a challenge because the play is rich in ideas of blackness as it pertains to the body, spirituality, cultural traditions, imagined spaces, and racial terror. Each character represents a different set of ideas, agendas, and dreams, demonstrating the fluidity of blackness in the play. In Thompson’s writing, the importance of spirituality to black families as well as the difficulties of improving one’s life are underlying themes that illustrate how artists use performance to interrogate and narrate historical and contemporary black experiences. One of Thompson’s aims in the play is to expose the totalizing effect of racial terror that crept into black people’s minds and everyday lives during the Jim Crow era. After witnessing her brother’s death, Cherry thought she was pregnant by God when she skipped a menstrual cycle. Cherry finally comes to terms with the loss of her brother only after her cousin Viola encourages Cherry to accept the reality. Furthermore, with the fear that Clyde and her brother might share the same fate, Cherry undergoes another level of terrorization that caused her menstrual cycle to start again. Mourning her brother not only put an emotional burden on Cherry but also physically stressed her to the point where her bodily fluids were irregular. This signifies the psychological, emotional, and physical trauma of racial violence that penetrated the lives of black people. The fact that Cherry assumed she was the new coming of Mary and pregnant by God symbolizes how central spirituality was for Christian African American communities as they made sense of the world. I appreciated Thompson’s writing of Cherry that highlighted her sexual innocence by portraying a form of black womanhood other than sexual exploitation and violence. At the same time, Thompson shows the variety of possibilities for black womanhood in portraying Cherry as sexually innocent and cousin Viola as sexually experienced. Continuing the theme of African Americans’ struggles in recovering from racial violence, Thompson also aims to demonstrate how black families often migrated in search for better lives and how that move impacted the family members who stayed behind. Clyde’s character is one of the first people in the play to discuss his plans to travel to California where he hopes he will have better job opportunities and less racial terror. In response, Cherry begins to think of a life outside of Monroe, where she could possibly escape her painful past. However, Ma Henry, disapproves of her idea to migrate, representing an older generation’s skepticism about moving away from familiarity. Having lived through the deaths of her children and grandson, Ma Henry is also fearful of the violence Cherry may encounter in her journey west that may prohibit her return. Cherry must choose her own dreams of exploring somewhere new or justify living in Jim Crow where she remains the keeper of her family’s roots and cultural traditions. Cousin Viola, who previously migrated up north and settled in Chicago returns back home after the funeral sharing her success. Taken together, Clyde and Cherry’s desire to migrate to California and cousin Viola’s move to Chicago maps an array of black people’s destinations outside of the south in efforts to search for better opportunities. Monroe also explores how blackness is not geographically constrained; rather it highlights the importance of locality in black people’s different experiences within the U.S. during the 1940s. While the play is heavily representative of Southern, Christian black cultures through language, food, and attire, Thompson’s portrayal of cousin Viola offers the audiences a sense of “secular,” urban, northern black experiences. 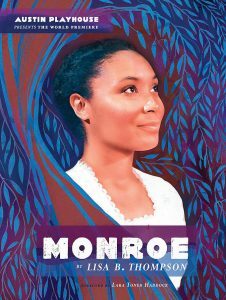 Monroe is a fascinating piece of black art that contributes to our understanding of the complexities of African Americans families as they migrated throughout the U.S.